DURHAM, N.C. -- Freshman Jayson Tatum matched a season high with 22 points, and No. 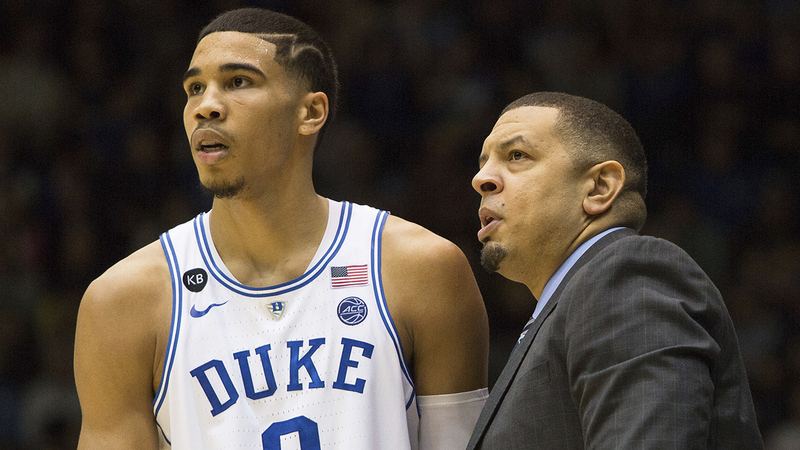 8 Duke held on to beat Boston College 93-82 on Saturday in Jeff Capel's season debut as Hall of Fame coach Mike Krzyzewski's temporary replacement. Grayson Allen had 12 points and 11 assists, and the Blue Devils had six double-figure scorers in winning their first game at Cameron Indoor Stadium without Coach K since 1995. Krzyzewski had back surgery Friday and is expected to miss roughly four weeks. The Blue Devils (14-2, 2-1 Atlantic Coast Conference) shot 55 percent but blew most of a 25-point lead, with the Eagles chipping away over the final 10 minutes and pulling to 88-82 on Ky Bowman's reverse layup with 44.1 seconds left. Tatum hit four free throws in the final 42 seconds to put Duke back up by double figures. Jerome Robinson had 21 points for BC (8-8, 1-2). This closer-than-expected victory capped an eventful week at Duke that started with the announcement that Krzyzewski was taking a leave of absence to have a fragment of a herniated disk removed from his back, and included the end of Allen's indefinite suspension for tripping yet another opponent. Then there was the transition to Capel, a former Duke guard and at age 41, already a coaching veteran. For 30 minutes, the Blue Devils looked much like the same team that beat Georgia Tech by 53 points three nights earlier. Then they went cold while the Eagles reeled off 11 straight points down the stretch. Boston College: There's no doubt the Eagles are improving -- a week and a half into the ACC schedule, they have already won more league games than they did last season -- and this young team will gain some confidence after the way they erased Duke's big lead. Duke: The Blue Devils started the game with their healthiest roster of the season. 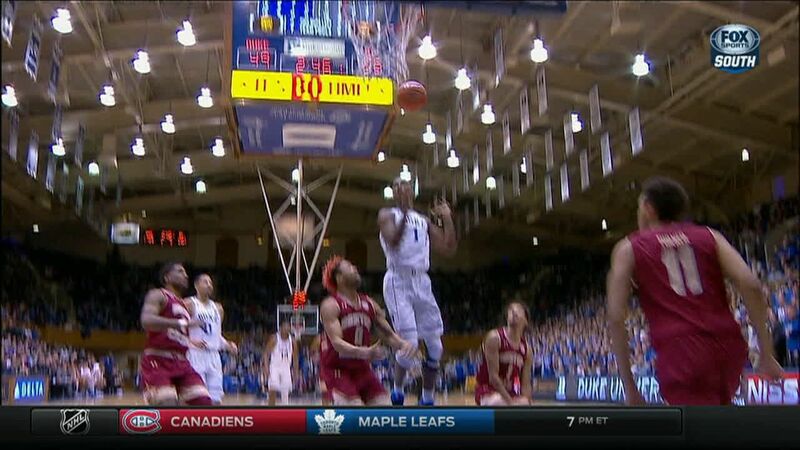 And then forward Amile Jefferson left in the first half with what appeared to be a right foot or ankle injury. He returned to the bench, still in uniform, midway through the second half but did not play again. The fifth-year senior missed the final three months of last season with a broken right foot. Boston College: The Eagles play host to North Carolina State on Wednesday night. Duke: The Blue Devils hit the road for two games next week, at No. 12 Florida State on Monday and No. 9 Louisville next Saturday. With Duke running the floor, Grayson Allen leaves the ball for Harry Giles who gets fouled, loses the ball and watches it go into the basket anyways for the most unconventional of baskets and-1.